The holidays are the best because all the sales happen the day after. What better way to get your groove on, but to do your shopping in excitement of finding your favorite things half off from the original retail price. I did my after holiday shopping bright and early. What I enjoy most from the holidays are the beautifully arranged holiday window displays. 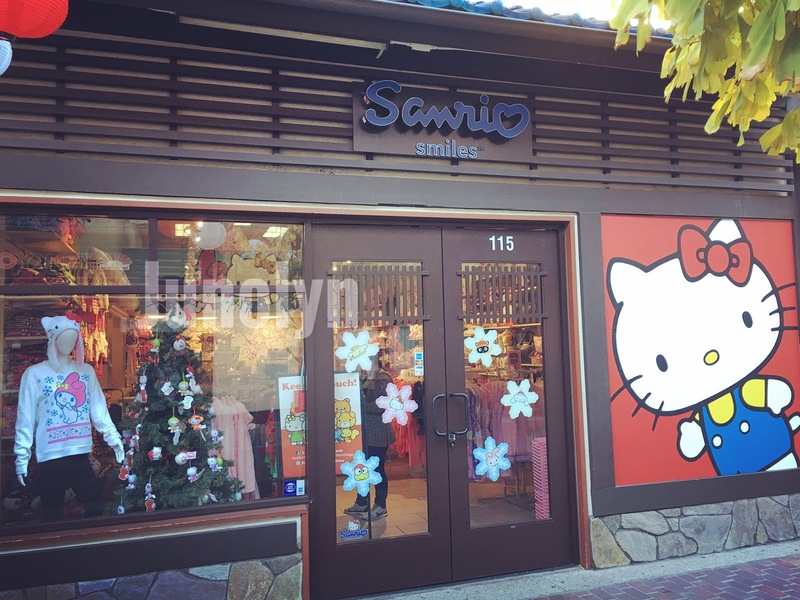 My favorite hands down is probably in Little Tokyo's Japanese Village. I think this Christmas seems more special because Sanrio actually gave us more Winter wear than ever before. One thing we never had were "Ugly" sweaters. 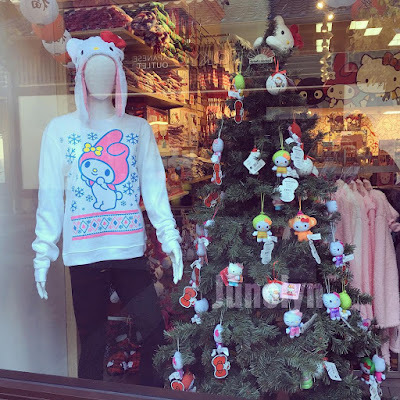 The white My Melody outfit in the window display reminds me of a cute outfit to wear at a ski lodge. 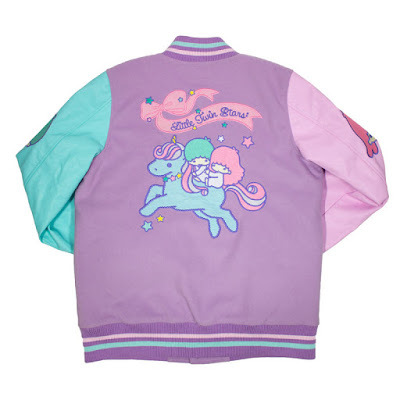 While I drooled over the sweaters, I finally bought what I wanted all along: JapanLA's Little Twin Stars Varsity Jacket. I'm thrilled to get it for half off the original retail price. As soon as I touched it from the clothing rack, I could tell that this jacket would keep me super warm. The body part of the jacket is soft to touch, whereas the sleeves are made of faux leather. When I first saw this, I wasn't too keen on the the back design because I prefer white unicorns. It was only after I saw Kiki and Lala on the sleeves with mismatching colors that I found the overrall design fascinating. I think what I like most about the jacket is that one sleeve color is different from the other. It's like a fashion color wheel of pastels. I might not always want to wear a pastel ray of clothes, but I'll make an exception for this particular jacket. In the end, I love the jacket even if I prefer my unicorns to be white lillied colored.